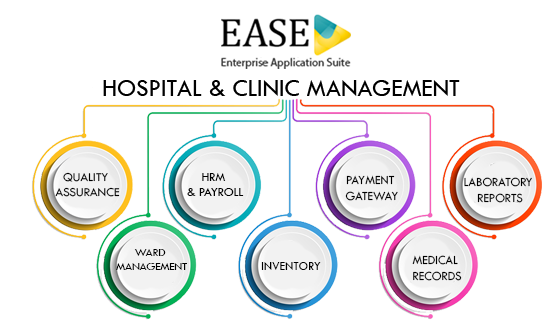 Ease Hospital and Clinic Management System is an integrated software to combine all the systems and processes of a hospital. Whether you operate an Outpatient clinic, a Specialty clinic, Mid-size hospital, multi-specialty hospital or a large chain of Hospitals, Ease Hospital & Clinic Management system can cater to overcome the market challenges with the right tools and unrivaled support, as we have for many of the biggest names in healthcare industry. Ease Hospital & Clinic Management system lets you easily manage outpatients, inpatients, emergencies, day care and other referral cases. Moreover, if your business empire spans across multiple geo and hospitals, you can now get a centralized dashboard to view the occupancy, revenue per available room and other metrics that dictate the performance of your hospital, all in one solution. 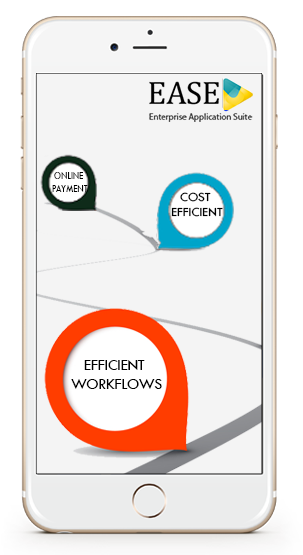 Paper less work and easily managed by our integrated software system.